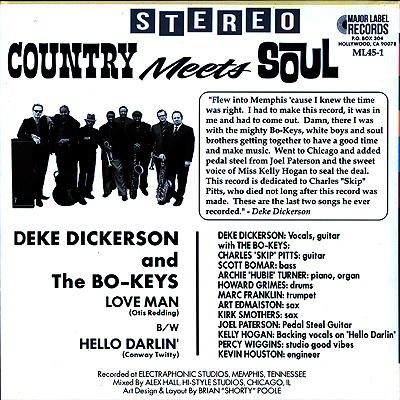 Kelly Hogan: background vocals on "Hello Darlin'"
Notes: A spiffy little 45 R.P.M. 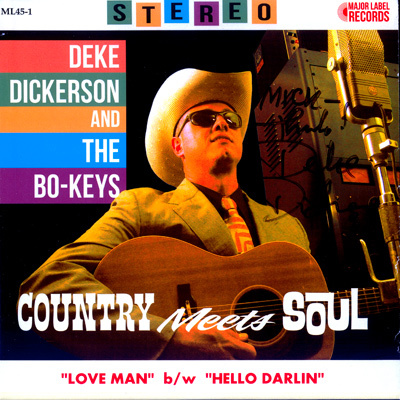 single combining Deke's country spirit with The Bo-Keys soulful sounds. Two great covers here with the A side from Otis Redding and the B side a slice of Conway Twitty. Deke looks splendid as always on the front cover and a group photo on the flip side. Deke signed this copy for me at The Ritz in San Jone in 2017. A grand show it was.